Jenny first learned to play violin and cello in orchestra programs in California’s public schools. She lives in Fryeburg, Maine where she sings with a local church choir and performs with the folk trio, Birds on a Wire. She plays cello in the Mountain Top Community Orchestra. Jenny and her family enjoy seeing dance performances and plays, especially musicals. Jenny brings a strong background in education to her music teaching. At Mountain Top she teaches private cello and violin lessons. 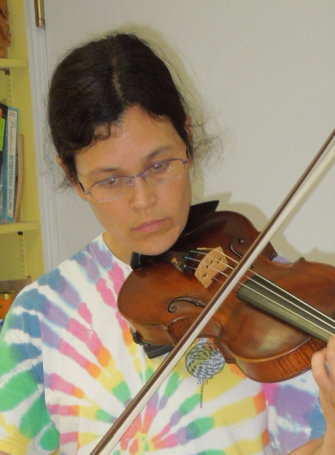 She also teaches Adult Beginner Strings classes and After School Strings classes for children.